On a journey of 26.2 miles, the first step is the hardest. I shared the first chapter of Parker’s story in May. 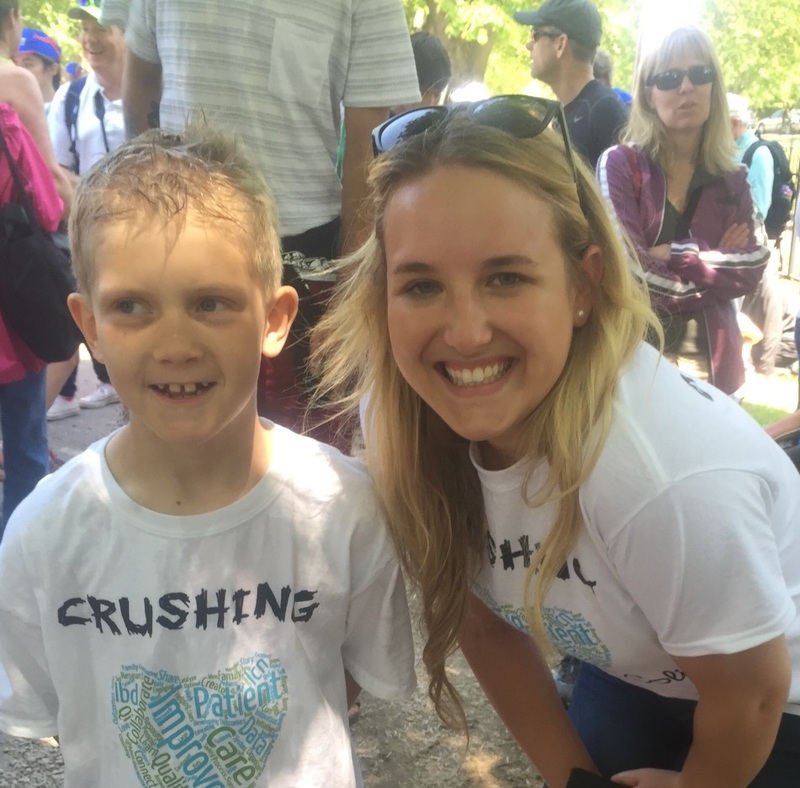 If you read it you know that the first step for Keri, Parker’s mom, was asking the question “how can I get more involved in his care?” From there Keri and I began building partnerships between her family, the UVM Children’s Hospital and ImproveCareNow. 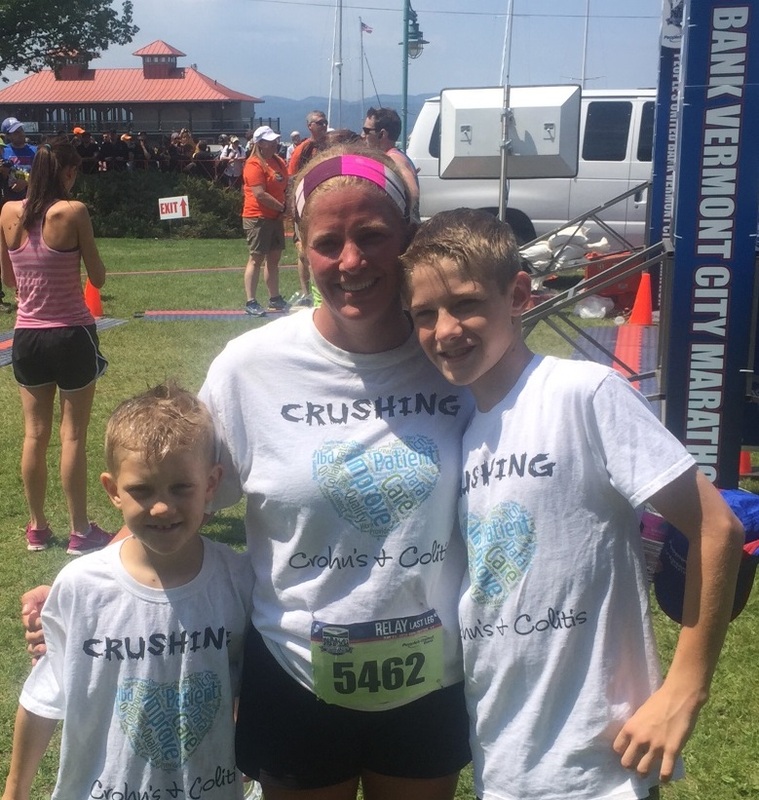 Every step we took was aimed at helping Keri cross the finish line with her relay team at the Vermont City Marathon to raise awareness of Crohn’s disease and funding to support our hospital. Keri’s enthusiasm and drive to succeed is contagious. Not only is she a busy working mom of two boys, but she committed herself to running a relay in a marathon on top of it all. If you’ve followed ImproveCareNow, you may have already heard the network refer to the African proverb: “To go fast, go alone; to go far, go together.” That proverb feels particularly applicable in this case. This solo sprint, soon became a marathon we took together. It was through partnerships we formed that Keri and I were able to accomplish so much in a very short time. This project was not only a collaboration between a parent and a care center, but also the ImproveCareNow Network and their Engagement Team. They helped us lace up our shoes and got us on the starting line. They provided us with the tools necessary to be successful in this journey. Keri had one thing in mind when she started out on this journey and that was to give back to the people that give so much to her son. “The 360 degree support we have received has been amazing. I wanted to support our local team and ICN team because they are the reason we are where we are today. If it was not for the constant caring and support of the entire network, it would be a very scary place to be. From the moment of diagnosis, they have been there every step of the way”. When Keri asked to get more involved, we were basically starting from square one. There was no precedent for this kind of joint project. But we very quickly tapped into the collective experiences of the ImproveCareNow Network through their engagement team and almost immediately started our Booster campaign. Our campaign had many different purposes. Not only was it designed to raise funds for the UVM Children’s Hospital, and to raise awareness about IBD, but it was also to support Parker. 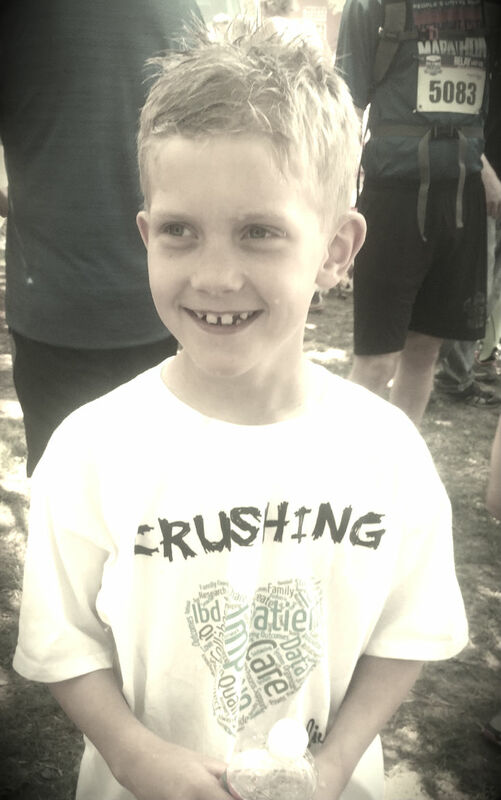 “His "marathon" is much longer than mine, and thinking of him every step of the way, is one more step closer to finding a cure. I hope that this is something we can continue to grow and have him become more of an influence as he gets older”. In just over a month, we were able to raise $750 dollars in donations to benefit the UVM Children’s Hospital as they continue to improve the care and health of children with IBD. Even though the finish line of this particular marathon has been crossed, this is just the beginning of an incredible and enduring partnership between a parent, a community, and a little boy named Parker.